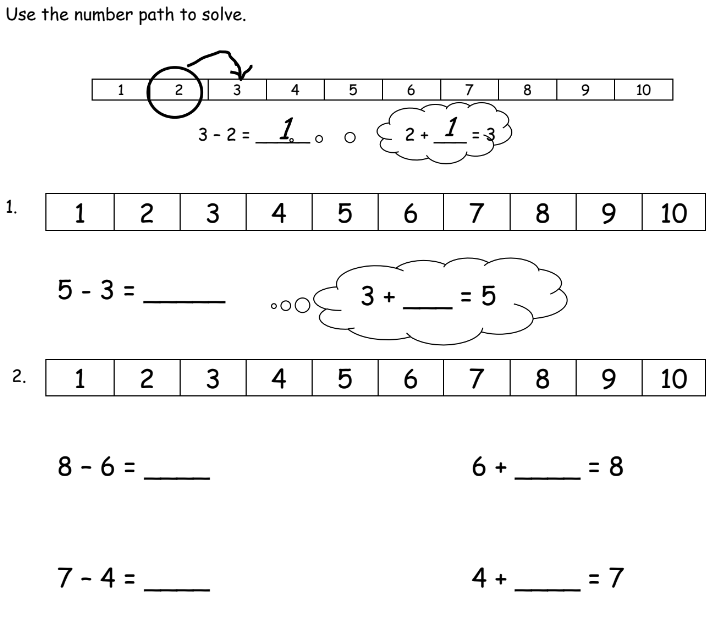 Worksheets, solutions, and videos to help Grade 1 students learn how to count on using the number path to find an unknown part. The following worksheet shows how to use the number path to solve a subtraction sentence by thinking of the corresponding addition sentence. Learning Goal: I can use a number path to find an unknown part. Use the number path to solve. Use the number path to solve. Match the addition sentence that can help you. Write an addition and subtraction number sentence for the number bond. You may use the number path to solve. 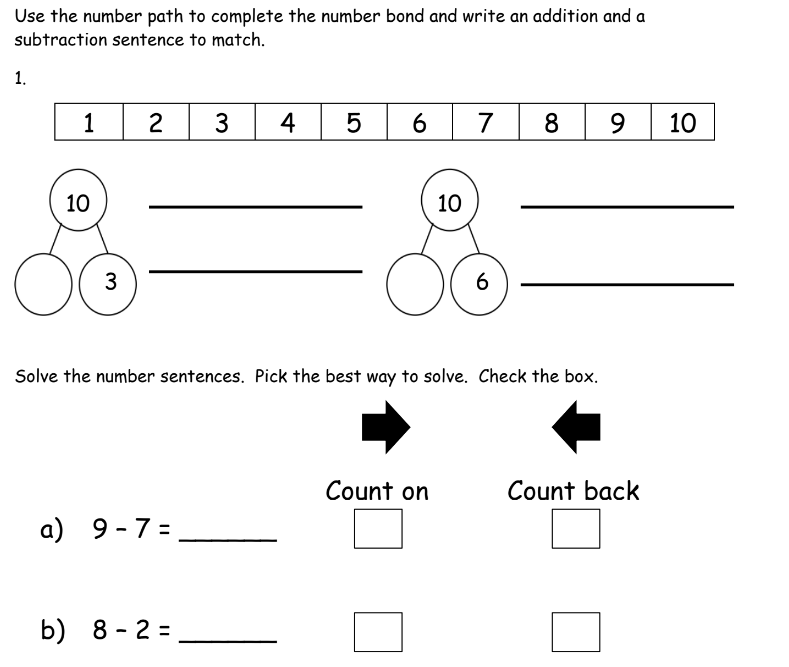 The following worksheet shows how to use the number path to complete the number bond and write an addition and a subtraction sentence to match. Solve the number sentences using Count On or Count Back. Learning Goal: I can use counting on or counting back on a number path. Use the number path to complete the number bond and write an addition and a subtraction sentence to match.